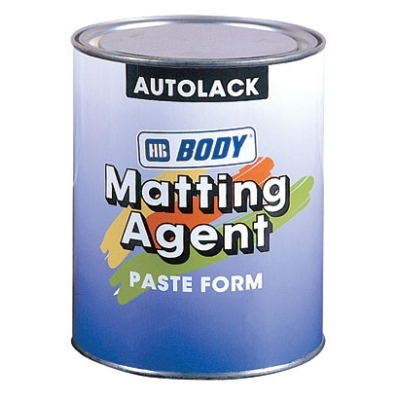 HB Body Matting Agent is a special agent developed for reducing the gloss of 1K or 2K car paints. Add 20-50% depending on the type of finish required. After adding the matting agent, less thinner (reducer) is required. Supplied in 1L Tin.